The stakes will be at an all-time high in Pakistan on July 25, 2018, when the entire country will undergo the general elections. The upcoming elections are largely seen as a two-horse race between former Prime Minister Nawaz Sharif’s Pakistan Muslim League (N) (PML-N) and Imran Khan’s Pakistan Tehreek-e-Insaf (PTI). Even the opinion polls have suggested a stiff battle between the two parties with PML-N leading the fray by a narrow margin. Nawaz Sharif and his party’s popularity has plummeted in the past couple of years given his expulsion from country’s leadership for his involvement in several corruption cases and high-profile Panama Papers. While Imran Khan continues to soar at the popularity charts with his eloquent oratory skills and renowned charisma. When will be the elections held? Pakistan general elections 2018 will be held on July 25, 2018. 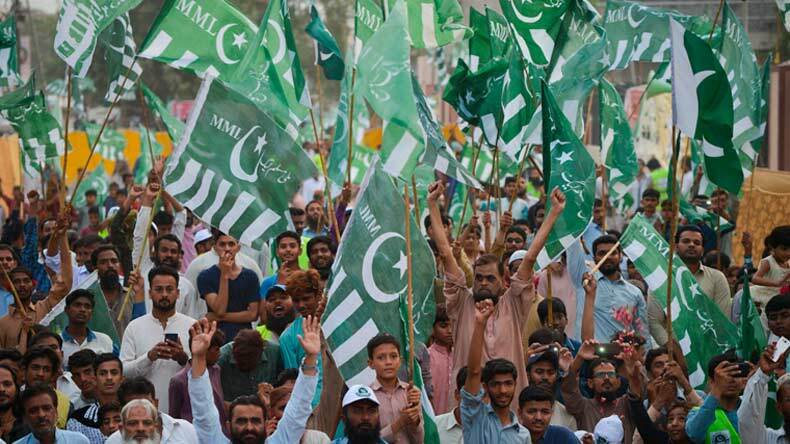 The last general elections in the country were held on May 11, 2013, where PML-N won the public mandate with an overwhelming majority and consequently, Nawaz Sharif was elected as Prime Minister of Pakistan. How many seats are there in Pakistan’s General Assembly? There are a total of 342 seats out of which 272 are the general seats. 60 seats are reserved for women and the remaining 10 seats are for minorities. However, the only directly elected seats are 272. What is the majority mark required to win the elections? Since the main contest is for the 272 seats, a political party needs to acquire at least 137 seats to form the government in the country. How many political parties and candidates will be in the fray? There are at least 110 registered political parties but only 30 of them are active. According to the Election Commission of Pakistan, there are 3,765 national assembly candidates. Which parties have the strongest contention in the elections? The leading contender is Pakistan Muslim League (N) which is being led by Shehbaz Sharif. Imran Khan’s Pakistan Tehreek-e-Insaf follows PML-N closely while Bilawal Bhutto Zardari-led Pakistan Peoples Party (PPP) rounds up the top three contenders. Who will NOT contest the Pakistan elections 2018? After being found guilty of several corruption charges, Nawaz Sharif was made ineligible from taking part in general elections by the Supreme Court of Pakistan. PTI’s chairman Imran Khan’s nomination was initially rejected but was accepted later after his constituency reassessed his nomination papers. Former military president Pervez Musharraf and Muttahida Qaumi Movement (MQM-P) chairman Farooz Sattar had their nomination rejected by their respective constituencies. Also, PTI’s Information Secretary Fawad Chaudhary and Shahid Khaqan Abbasi, who recently held the Prime Minister post, were disqualified from contesting the elections after they failed to declare their assets in their nomination papers. What parts of Pakistan will be subject to the elections? There are 4 provinces and 2 territories in Pakistan where general elections are held. The first territory is FATA which comprises of 12 seats while the other one is Islamabad capital territory which has 3 seats. The largest province with the highest number of seats is Punjab which boasts of 141 general seats. It is followed by Sindh province which has 61 seats. Khyber Pakhtunkhwa comprises of 39 seats and the remaining 16 seats are in Balochistan.